Lady and the Blog → Personal Blog → My Boy Needs Eyeglasses! I have to be honest here – I am in COMPLETE DENIAL over the fact that Liam needs eyeglasses. I have PERFECT VISION. 20/20 or 20/15 depending on when my test was done. No issues whatsoever…. EVER. My husband wears glasses and all of our parents do too. So, it’s in the family of course. BUT I just thought my kids would take after ME. Hey, I’m an only child – that’s the mentality I’m used to. 🙂 Me. Me. Me. 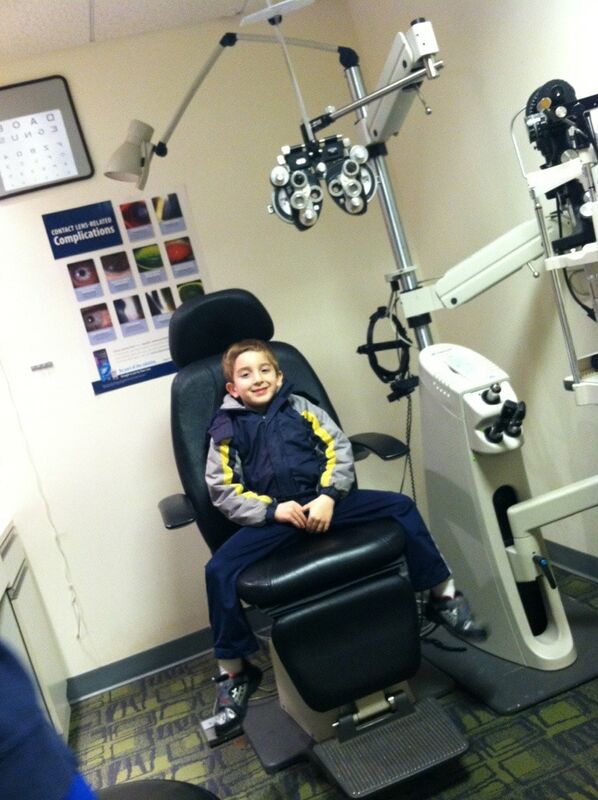 Liam’s school told us MONTHS ago to get his eyes checked out but with my pregnancy complications it never happened. Now, that I am up and running around we went to get an exam over the weekend. And he needs them. It’s official. I was sitting there in the room listening to what he was saying about the letters / numbers IN SHOCK. He could NOT SEE!!!!!!!!!!! I kept thinking he was fooling around… but the doctor repeated lines over and over again and it was the same. We tried on a few pairs and I couldn’t decide. I want to go to a few different stores to make sure that I am getting the best frame. As soon as school lets out and homework is done, we are OUT! This has to happen TODAY but I don’t want to pick just anything. Do you have a child in glasses? Where did you buy your frames? Previous Post: « Join Me And Audrey McClelland For Our 1st #BumpTalk With Stokke, Happy Baby And Johnson’s Baby TONIGHT 8PM EST! We found out my son needed glasses in 2nd grade and w found our best choice at the optometrists (he’s a small-time local office). We checked Eyemasters & Lenscrafters but just weren’t crazy about their kids’ choices. Ended up with Nike junior-sized frames that were primarily black but have a red accent on the inside of the frame part (not around the eye lenses but the part that goes back to the ear). School colors are black & red so it matched ;-). I was afraid they were too bold & wanted him to just do tortoise but at this young age the lady helping us encouraged me to let him decide & to use/show his personality a little. Worked out great & he’s loved having them. About to shop for something new as he’s outgrown them now. Good luck & have a little fun with it!! I’d highly recommend buying directly from your optometrist for the first pair. Then go ahead and buy another pair or two from an online discount site. Boys are know to break glasses. I LOVE optizennical. 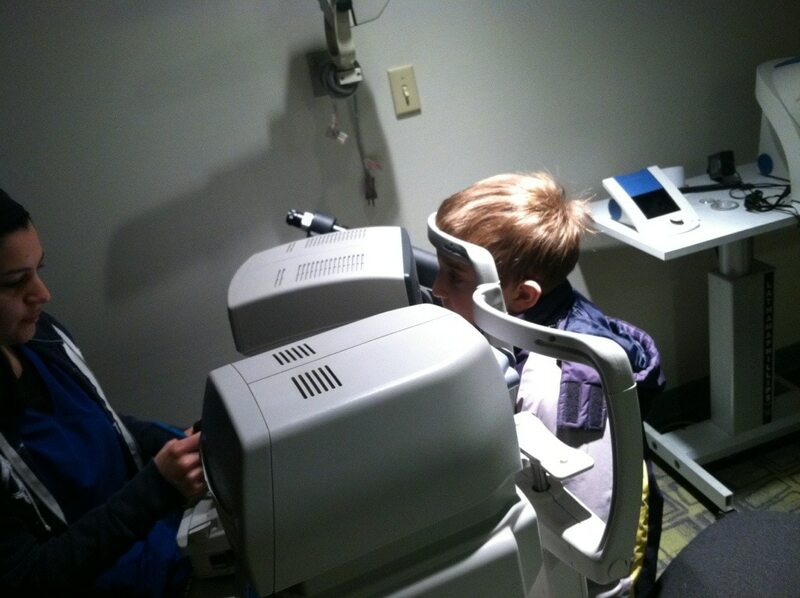 You’ll need the Rx, PD (pupil distance) measurement, and glasses measurements from the optometrist. Having had this experience with my son in 3rd grade I went to a locally owned optical company that has been in business for years. Years later, the same people are there. They will give you excellent advice, they are invested in the community and have an incentive to offer you the best products. They will patiently explain the best type of lenses for Liam’s Rx. They know their frames – my son had one lens that was thicker than the other and the optician would point out frames that would best ‘disguise’ this. Boys are active and you will probably make visits for ‘adjustments’ and they will welcome you for this usually quick but important task. I always invested in an anti-glare protector (e.g. Crizal) especially with the time kids spend on computers and most classrooms have fluorescent lighting. I also had polarized sunglasses made for him, too, as he needed to wear his glasses all the time. I would stay away from mass market (Sears, Lenscrafters, Stanton, etc.) You get what you pay for – both in product and expertise. My advice is let Liam have input because he’s wearing them – if they aren’t comfortable or he doesn’t like them he’s not going to want to wear them. If he’s confident…the glasses won’t matter and he’ll be amazed at everything he’s been missing! Good glasses are not cheap…but his eyes are worth the best you can afford, JMHO. I’m also agree here. Definitely you’re right here. I’ll try to convey your message as much as possible.